Scott is co-chair of the Firm's Intellectual Property Group, with more than 17 years of experience in trademark law and a cadre of high-profile clients, Scott has earned an enviable reputation for his experience, business-focused advice and counseling. Whether appearing before a federal district judge, offering counsel on international trademark filing strategies, clearing a new global brand, advising on the nuances of trade secret law or explaining how social media marketing can create undue legal risks, Scott gets the job done quickly and cost-effectively so his clients can get back to work. 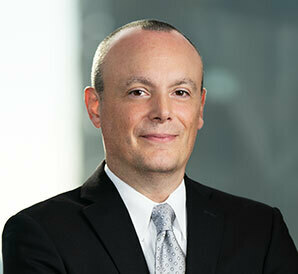 Scott's practice focuses primarily on U.S. and international trademark prosecution and litigation. As such, he can use his time-earned skills to help his large corporate clients manage and grow their trademark portfolios. Whether the project involves clearing a new mark in multiple jurisdictions, registering the mark with the relevant trademark offices, policing the mark against infringers or defending a client's use of a mark from threat of attack, Scott has the relevant experience to tackle any trademark-related issue. Because social media has become an integral way for his clients to interact with their customers, Scott has become an industry thought leader on its impact on trademark protection and enforcement. He has helped many clients craft social media policies to protect intellectual property while still allowing them to exploit new technologies to positively interact with customers. His involvement in this ever changing field has prompted him to write numerous articles and provide state-of-the-art presentations aimed at explaining how companies can navigate the unchartered waters of leading social media sites, while still protecting corporate intellectual property and avoiding infringement risks. He has also been quoted in the Chicago Tribune, Bloomberg BNA, The Chicago Daily Law Bulletin, InsideCounsel and MacNewsWorld, and has appeared on Fox Chicago News. Scott's clients also rely on his experience in trade secret law, where he focuses on its use in the employment context, particularly in connection with non-compete agreements, confidentiality agreements and restrictive covenants. In a coordinated effort with over 70 foreign associates, Scott cleared and applied to register a multi-national corporate client's new trademark in over 75 countries on the same day. Scott devised the difficult international filing strategy to stave off potential infringers from around the world. Scott has conducted intellectual property audits for more than 25 corporate clients. In the process, he has created social networking policies, web site terms and conditions, and bring-your-own-device policies; conducted on-site inspections leading to the discovery of a number of trade secrets and copyrights; and drafted restrictive covenants and non-disclosure agreements. Scott's tireless attention to detail during these audits has uncovered and protected millions of dollars in corporate assets. Scott represented a local entrepreneur in a heated trademark dispute that had raged for nearly a decade before his involvement. Scott suggested and conducted court-aided mediation in an effort to finally resolve the matter. The court found in favor of Scott's client, awarding damages and injunctive relief, rejecting the defendant's trademark application and transferring its domain name to Scott's client. No Excuses, Authors: Crank Up the Book Series! Our Survey Said: "It's No Shell Game"
Generic terms: Less than zero? Getting defensive: A fresh take at the TTAB? i.think Therefore i.am? Not Exactly. Judge slams jailhouse door. What R bad boys gonna do? L Catterton Invests in ClassPass, Inc.